MPH know as Master of Public Health is a 1 year (which can be extended to 2 years) program of IOM, TU. Generally, the course begins from the second of Baisakh (mid -April) each year and the final examination takes place in the month of Chaitra (mid- March). Masters in Public health of TU comprises of 10 papers and 100 marks are allocated for each paper. First semester which is of three months time period contains first four papers of Public Health. The Public Health Paper 5 to 7 is in the curriculum of second semester which is of 3 months time period as well. Public Health Paper 9 and 10 are Health Systems Management and Dissertation respectively. Third and fourth semesters will be dedicated for proposal development, data compilation, examination and report writing. Academic activities range from lectures of expert to dissertation and many more. The ten papers that should be studied are Epidemiology, Bio-statistic and Computer Application, Environmental, Health and Disease Control, Medical Sociology, Anthropology and Population Studies, Family Health, Health Promotion and health education, International Health and Primary Health Care, Research Methods in Health Sciences, Health Systems management and Dissertation. To develop students into public health specialists who have competence in resolving existing and rising public health problems of the country. To impart students necessary skills and knowledge so that they can plan and manage the public health program to solve the health problem with best possible outcome. To develop students into competent health manpower necessary at district, zonal, regional and national levels who can successfully implement various health care policy of a government. To develop leadership skills in students in the field of health care having the ability to manage medical health services, develop inter-and intra-sector coordination in health and monitor, supervise and evaluate health promotion, disease prevention, health care and rehabilitation program. The aspirants should have MBBS or BPH or BN or B Sc. Nursing or B Sc. MIT or B Sc. 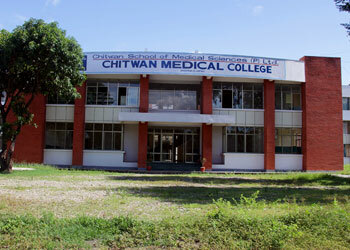 MLT/ BMLT or B. Pharmacy, BASLP or BAMS, B. Optometry, (the student having MBBS and BAMS degree should have one year compulsory rotatory internship training), BV Sc and AH degree from TU or equivalent degree from University recognized by TU or the candidates with bachelor degree in Health Sciences having two years of works experience. Non-health sciences degree holders working in the capacity of Gazetted officer or equivalent post with 5 years work experiences having Bachelor degree is eligible but candidates with partial health related subjects in the curriculum without Health Sciences background from Institutions other than Institute of Medicine/ Health Sciences will not be eligible. The candidates should pass the exam taken by IOM. Merit list is published after the examination. The merit list is made by adding 80% marks of Entrance exam and 20% marks of B.Sc. 20% seat is for inclusive category and 80% for open category. Health is Wealth; all of us know this very famous line. The public health professionals are engaged in activities like public safety, protecting from illness, and promote wellness at the population level. Public health professionals can choose to work as epidemiologists, bio-statisticians, environmental specialists, health educators, program administrators, and much more. The public health graduates can work in the sectors like nutrition and weight management, exercise and fitness center, public safety, maternal and child health care centers, chronic disease prevention centers, emergency preparedness ward, global health care, sexual health care, infectious disease prevention center, oral health center, mental health care, etc. The scope and practice of public health is increasing and it is certain to be one of the most lucrative fields in the days to come. The graduates of public health are not only valued nationally but they are also given equal importance in the international market.